Stories of regeneration can be traced to Greek mythology. As punishment for the theft of fire, Zeus sentences Prometheus to be bound to a rock, where each day, an eagle feeds on his liver; the liver grows back, and the daily feedings continue. Another, the second of the Twelve Labors of Hercules, involves slaying the Lernaean hydra—each time a head is decapitated, it is replaced with two more. Less dramatic reports of regenerating lizard tails appear in the writings of ancient Greek scientists, including Aristotle. Although Trembley’s findings were lauded by much of the scientific community, they were not universally embraced. The ability of the dissected hydra to be regenerated into a complete replica of the original organism was contrary to the prevailing precept of preformation, that is, the embryo develops from pre-existing parts. Among the early doubters was Trembley’s cousin Charles Bonnet, he, too, a Swiss naturalist. But, Bonnet became convinced in 1745, when he observed similar regeneration in worms. SEE ALSO: Leeuwenhoek’s Microscopic World (1674), Cell Theory (1838), Embryonic Induction (1924). The hydra was a mythological animal with legendary powers of regeneration. 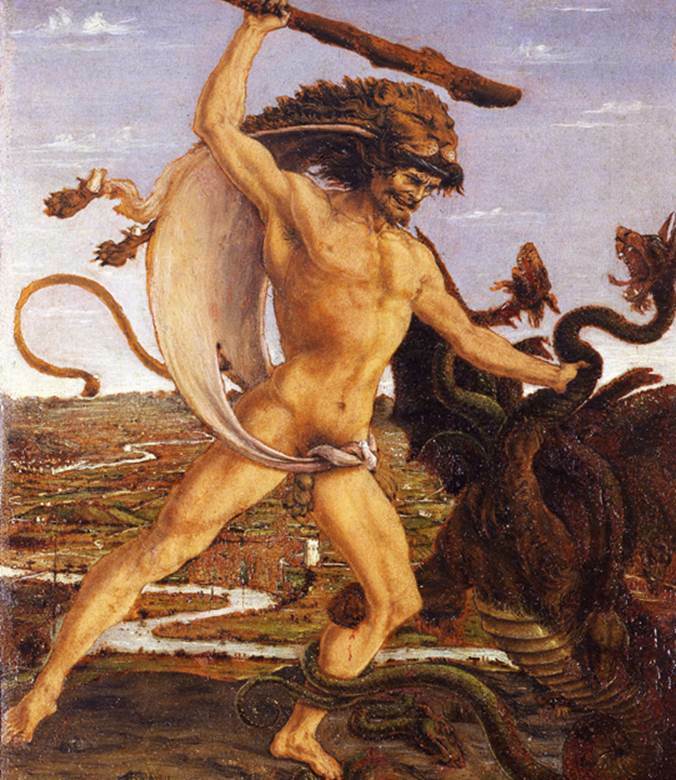 Hercules and the Hydra is a c. 1475 painting by Antonio del Pollaiolo (c. 1429–1498), an Italian painter and sculptor.